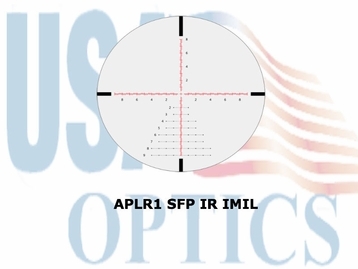 Whether you are shooting prairie dogs at 700+ yards or you are shooting 3 gun that replicates life and death scenarios you want a rifle scope that is accurate, tough, durable and extremely versatile. You need a scope with the Midas touch, it makes every shot gold. 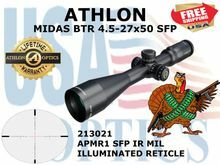 The Athlon Midas BTR is ready for anything. It is also is equipped with advanced multi-coating so you'll have the brightest, clearest long-distance image possible, in any situation. The innovative new XPL coated lenses gives you "Xtra Protective Lens" coating that protects your lenses from moisture, oil, dirt and smudges. The super-fast side parallax focus makes certain you have the clearest image in the world when it matters most. The ultra-strong one-piece tube is hammer-forged from aircraft aluminum alloy for more strength than standard aluminum, multi-piece scope tubes. 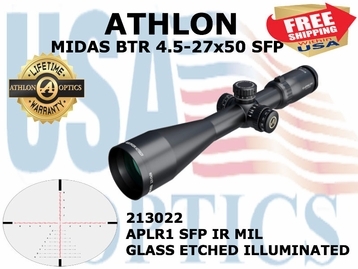 The 6x magnification ratio eliminates the needs for multiple scopes for different game or types of hunting. No need for multiple scopes for multiple types of game animals. HD Glass - HD Glass gives you the utmost contrast, light transmission, and the sharpest image. Illuminated Reticle - The illuminated reticle provides greater visibility during dusk and dawn and other low ambient light environments. XPL Coating - XPL Coating gives you an extra protection on the exterior lenses from dirt, oil and scratches or anything else mother nature can throw at you. 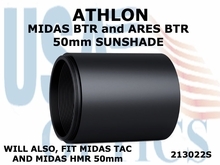 6061 T6 Aluminum - The 6061T6 aircraft grade aluminum tube that has exceptional strength and superior mechanical integrity will protect these world class optics no matter what punishment you throw at it. Shockproof - Robust mechanical system with special designs on both control and erector system that give you the ultimate recoil resistance to withstand 1000G recoil for 1000 times. Argon Purged - Argon Purging uses the inertia gas with bigger size molecules to purge any moisture out of the tube, giving you better waterproofing and thermal stability.